The stock market, real estate, and traditional investment options aren't the same as they once were, and many investors have experienced heavy losses in their portfolio. 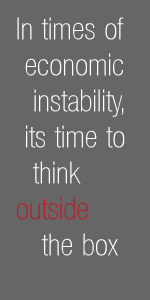 So what do investors, families, or young entrepreneurs do to protect their hard-earned capital? Cornerstone Capital Investment Inc. (CCI) provides visionary solutions for strategic asset investments. While our primary focus is currently in the area of precious metals bullion, CCI also is an emerging clearinghouse for venture capital, land/energy investments, and other asset-based investment options. While inflation, unemployment, and the struggling American economy continue to take their toll on the dollar, more investors are looking to precious metals and other asset-based investments as a way to safely store their wealth and generate a considerable profit from their investment. CCI is a Denver-based company founded by Chad Roach to provide small and large investors with alternative investment options. Currently, precious metals bullion is our #1 investment (find out why) through our subsidiary company Cornerstone Bullion. CCI has sold nearly $100 million in precious metals to our clients since our founding in 2009. We serve clients around the United States and Canada, from California to Texas, Washington to Tennessee. 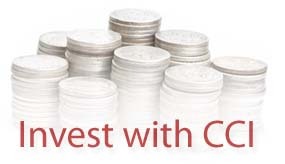 Whether you are interested in precious metals, venture capital, or other asset-based investments, CCI is here for you. We go the extra mile to provide personal service. In some cases, we've traveled several thousand miles to personally meet and deliver to our clients. We also have regional representatives that personally meet with you to complete your purchase. We understand that working with someone you trust is essential when investing your capital, and we will earn your trust as we have with hundreds of clients. We serve investors who take their wealth seriously, so we believe that we should treat our security and service as a company seriously too. CCI is an "A" rated member of the Better Business Bureau. We are also a member of the ICTA (Industry Council on Tangible Assets). CCI has no debt, and is compliant with all state and federal regulations. For more information on how we protect client privacy, visit our FAQ page. Learn more about working with CCI.